Remember those loopy moments on vintage ACME cartoons. Here’s an attempt to create a snapshot of such a moment. Of course it need not be a shark…it could be a lil chicks going round a hen, rabbits going round a huge turnip…you get the idea. 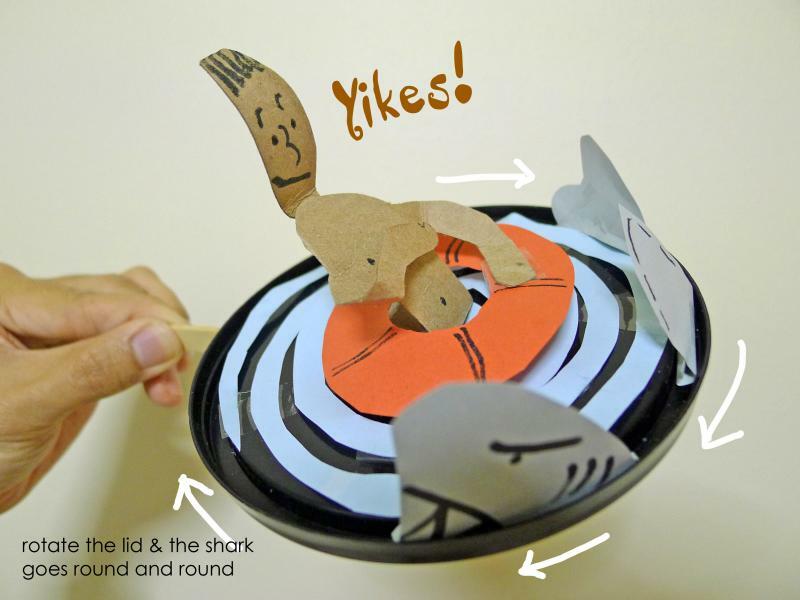 Prepare the following items…draw and cut out the figure+ float, shark on paper+cardboard. Spirals work really well if you need crate a sense of movement. 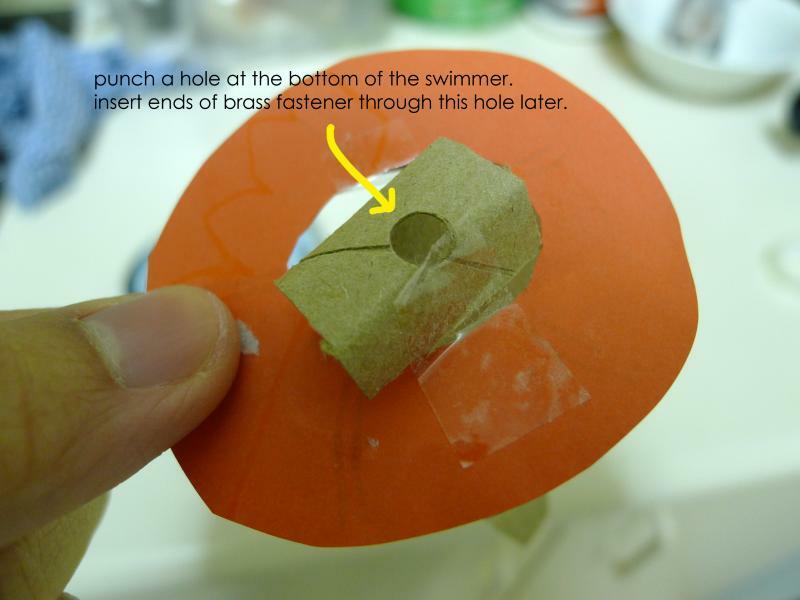 Make a small incision on the centre of the lid. 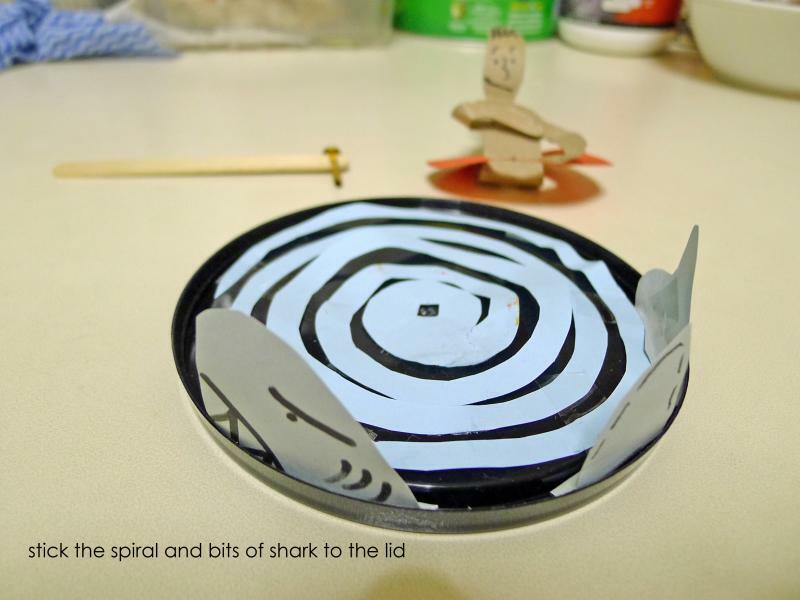 Stick on the water spiral and bits of the shark onto the lid. Sticky tape is probably the best way to have them stuck on. 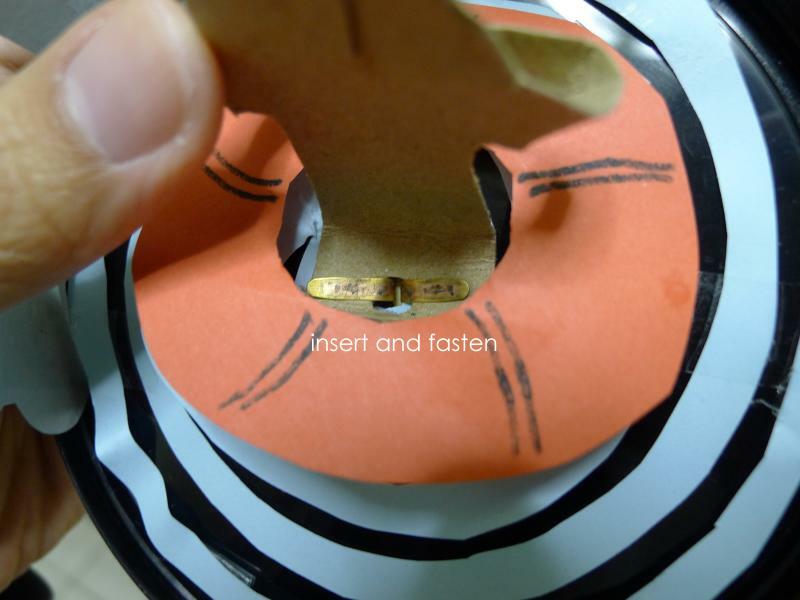 At the bottom of the human figure, punch a hole so that you can insert the ends of the brass fastener through later. 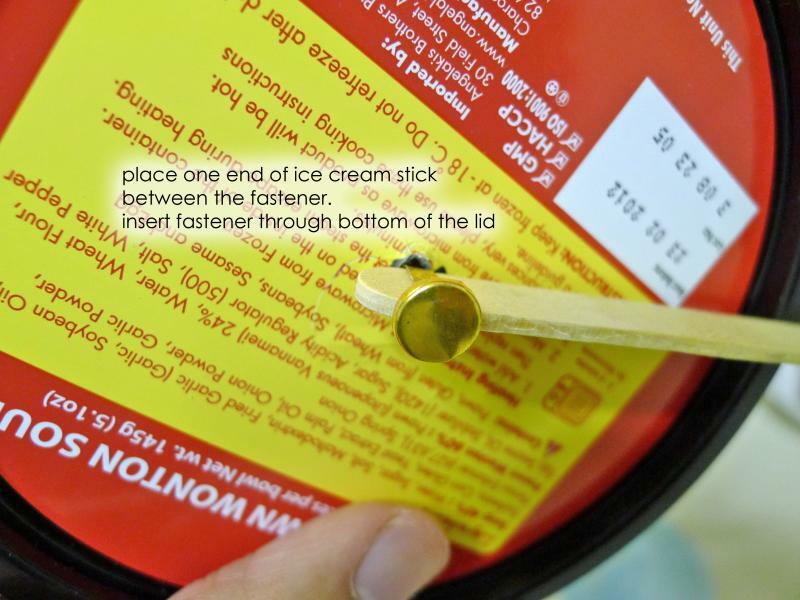 Clamp one end of the ice cream stick with the brass fastener and insert the ends of the fastener through the incision made on the lid. 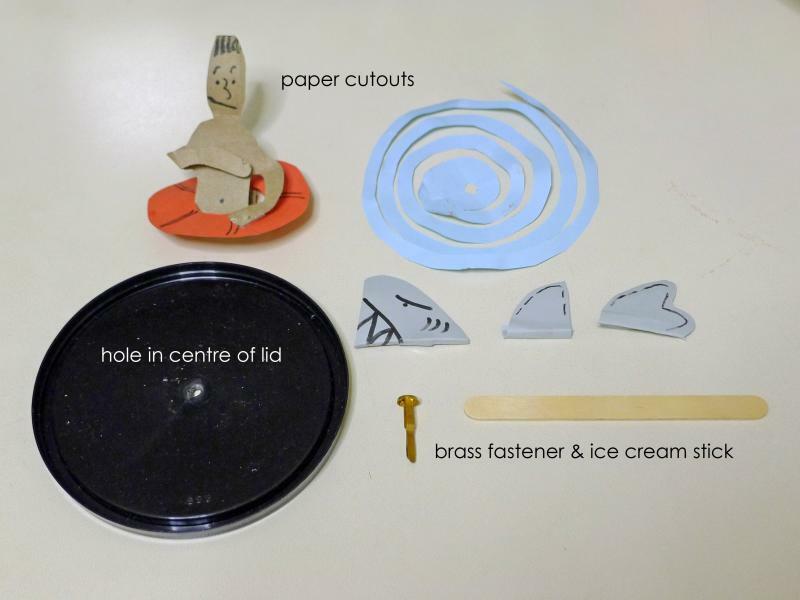 Fasten the human figure to the lid. It should be taut and stay in place when the lid is turned.